Occupations are the activities we engage in that have special meaning to us. For children, these involve learning, play and self-care. Some children have sensory or movement problems that may make it difficult to participate in these activities. Occupational therapy provides opportunities for these students to engage in activities by carefully selecting tasks to promote development of skills. 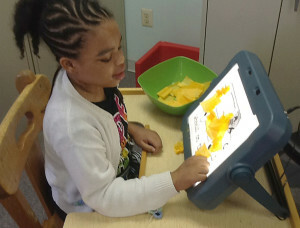 Individualized adaptations to materials that the child uses are created—from simple utensils to computer access. State certified and licensed staff.